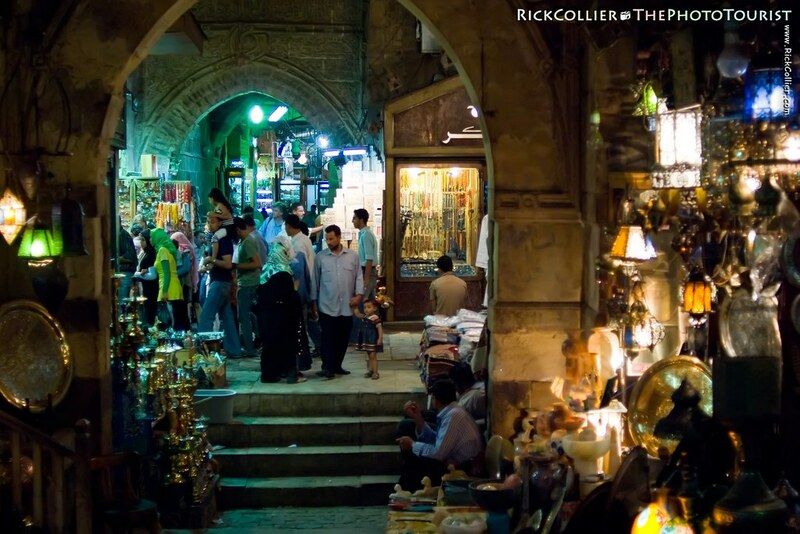 Touring Egypt 33: The Khan el-Khalili in old Islamic Cairo has been a bazaar for centuries. Originally, it was the Cairo terminus for camel trains across the great Sahara desert. 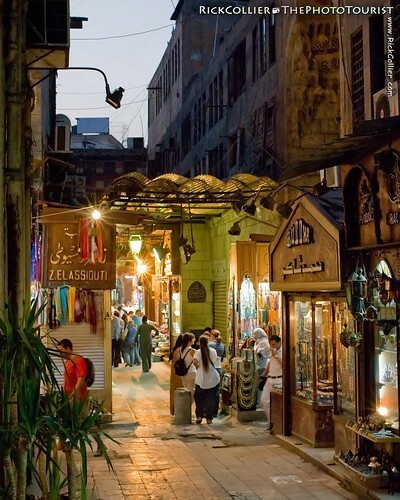 Today, completely surrounded by the city of Cairo, it is a warren of fascinating shops, peopled by wonderful, warm, friendly merchants. It is a “must-do” for tourists, whether you seek souvenirs, a fabulous meal, or just a wander through one of the great bazaars of the Arab world. 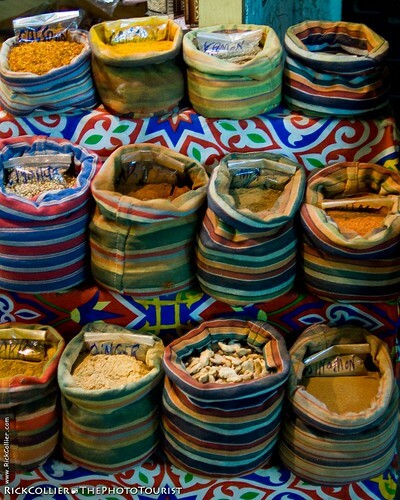 A wander through the Khan el-Khalili bazaar can be a marvelous experience. Colorful shops and stalls line every free space throughout the district, in every alley or narrow street. Hawkers try to befriend the shoppers (especially tourists) wandering through the crowded alleyways and narrow streets. Politeness is expected and everyone is friendly. Sometimes, the sale seems almost secondary. Since the shopkeepers are there all day, they are happy to chat and laugh with any passerby — no purchase required. The shopper walking through the crowd is greeted with friendly hails from smiling (sometimes laughing) shopkeepers. My favorite was, “I don’t know what you need, but I have what you want.” Seeing a western tourist emerging from a shop with a purchase in hand, the vendor across the alley may exclaim “My turn!” with a friendly gesture and a warm smile. 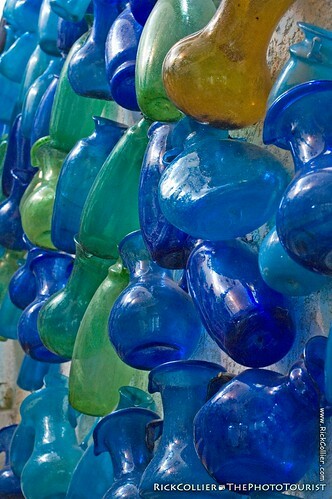 For the photographer, it is a wonderland of colors, shapes, lights, and willing subjects at every turn. This entry was posted on Thursday, October 22nd, 2009 at 18:45 PM. 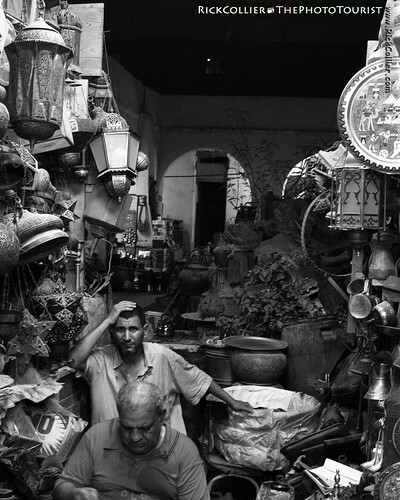 It is filed under Land & Air, thePhotoTourist and tagged with bazaar, bottles, brass, Cairo, destination, Egypt, Khan, Khan el-Khalili, lamps, lights, market, night, not_uw, shoppers, shops, spices, stalls, Touring Egypt, vendors. You can follow any responses to this entry through the RSS 2.0 feed. Hello there, just stopped by doing some research for my Nikon site. Can’t believe the amount of information out there. Not quite what I was looking for, but good site. Have a good day. Thanks Melanie. Good luck with your site! Come back anytime!